At Security In Shredding our industrial paper shredding service deal with public and private sectors. 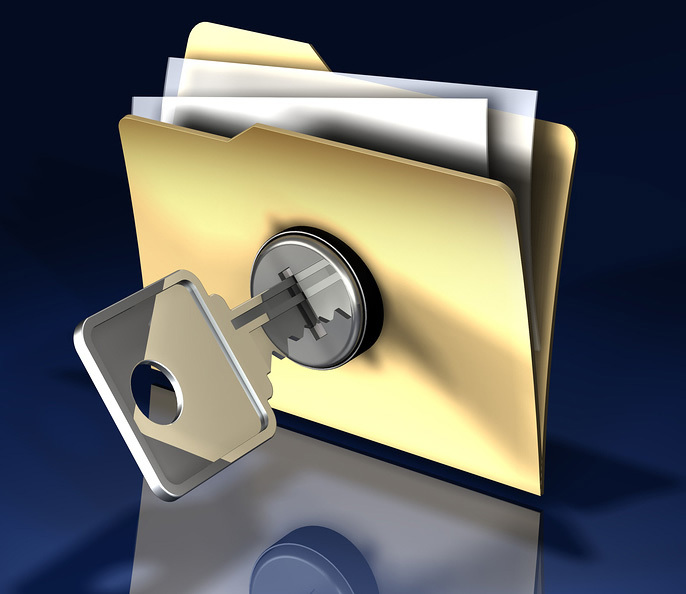 When carrying out our confidential document destruction complies with data protection laws. An individual may expect public sector bodies to share their personal data where it is essential and necessary to provide him/her with the services sought and the Office Data Protection Commissioner (ODPC) fully support the aim of developing more efficient and customer centric public services in this regard. While also informing an individual weather his or her data is being shared, for what purpose and who can access this data. Ensure secure disposal of shared data. Identify what the arrangement is meant to achieve. All data sharing arrangements should have a clearly understood set of objectives which are documented and recorded. Identify whether the objective could be achieved without sharing the data or by anonymising it. The default position should be to analyse whether personal data needs to be shared in the first instance in order to achieve the goal(s). Identify the minimum information required to achieve that purpose. All data sharing arrangements should share only the minimum required personal information to achieve the body’s objectives. Identify any risks which the data sharing may pose. When considering whether to implement and place a data sharing agreement on a legislative footing consideration should be given of the fact that such sharing could increase the reluctance of individuals to provide accurate personal data to public sector bodies. It should also take account of any disproportionately negative impact on particular sections of society. Identify when and how often the data should be shared. It is good practice to document this and set out whether the sharing arrangement will be ongoing or periodic or whether it will occur in response to a particular set of events. In general a legal basis for data sharing, including the conditions under which such sharing is permitted, should be set out in primary legislation as provided under Section 2(2A) of the DPA. The ODPC recommends (where appropriate) that the conditions of the data sharing arrangement are outlined clearly and in adequate detail either in primary legislation or alternatively. In secondary legislation (provided a primary legislative basis exists) thereby leaving no room for confusion or doubt as to the nature of the arrangement and providing legal certainty. The legislation should clearly identify the public sector bodies involved, the information that will be shared and the purpose(s) for sharing the information. Public sector bodies should also ensure that adequate, appropriate and relevant safeguards are put in place to protect the data rights of the individual. Personal data must be obtained and processed “fairly and lawfully”. Two situations arise that are specifically regarded in the DPA – firstly where a data controller obtains the personal data directly from an individual and, secondly, where a data controller obtains the personal data through some other means. Any other information which is necessary such as identifying recipients or categories of recipients of the data, whether data provision is voluntary or mandatory and details as to the right to information access and the right to data correction pertaining to the data subject. Identity of the original controller. The DPA highlights a clear obligation to inform data subjects how their data is or will be processed and processing will not be considered fair unless the data subject is given specific information about the identity of the controller, who the information will be disclosed to, and the purposes for which the data is to be processed. The rationale is that if the processing is to be fair the data subject must be placed in a position to learn of the existence of the processing operation, have access to that information and consequently be able to have that data rectified if required. Any decision to share personal data between public bodies (and thereby to set aside a person’s right to privacy) must not be taken lightly. This is especially the case when bulk data is shared. Such decisions should only be taken following due consideration at senior management level. Only the minimum amount of personal data should be shared. In many cases all that may be required is a “yes” or “no” in regard to whether an individual is, for example, a holder of a permit or a license. Enhanced access controls and security requirements should apply to personal data shared and received as part of an approved data sharing arrangement. Access to such data should be limited to a very small number of officials and public sector bodies should employ a ‘need to know’ basis thereby ensuring that other organisations should only have access to the data if they need it, and that only relevant staff within those organisations should have access to the data. Arrangements in this respect should also address any necessary restrictions on onward sharing of data with third parties. Security measures should rule out any possibility of data leakage (bearing in mind the increased emphasis on the State’s responsibility to prevent data breaches and the reputational damage that would result from failure to protect shared personal data). It is important that public sector bodies ensure that the personal data will be protected at all stages of the arrangement i.e. during the transmission, receipt of the data, and while the data remains with either party. Furthermore, it is important that the recipient organisation understands the nature and sensitivity of the data being shared and that common rules for its security are established. Personal data provided as part of an approved data sharing arrangement should be securely destroyed when no longer required. The ODPC recommends that public bodies should specify the conditions and the period for which the data may be retained and that such conditions are necessary and proportionate in relation to the purpose to be achieved. Public sector bodies involved in a data sharing arrangement will have their own responsibilities and liabilities in respect of the data they process. As alluded to, it is important that those entities involved in a data sharing initiative set out a common set of operational rules to be adopted in a data sharing agreement. It is then reviewed on a regular basis to ensure that the data sharing initiative is meeting its objectives, that safeguards continue to match any risks posed, that records are accurate and up to date, that adherence to a consistent retention policy for all records is kept, and that the appropriate security measures remain in place. A clear description of the roles and responsibilities of public sector bodies in any data sharing arrangement should be made available to the data subject with regard to exercising their data rights. If a public sector body informs people about their data sharing arrangement and consequently receives a significant number of negative comments or concerns it should review the arrangement and data sharing in question. In particular, the body should carry out an analysis of the issues raised and decide whether the sharing can go ahead or continue. Alternatively, it may need to reduce the amount of data it shares or share it with fewer organisations. In large scale data sharing operations, it is good practice to set up focus groups to explore individuals’ concerns and to develop more publicly acceptable ways of dealing with the issues that the data sharing was intended to address. This entry was posted in Confidential Shredding, Corporate Social Responsibility, Data Protection, Digital Data, Off Site Shredding and tagged Confidential Shredding, Data Privacy, Data Protection, Data Protection Commissioner, Data Security, document shredding, EU Data Protection by Security in Shredding. Bookmark the permalink.